Bellot made this announcement at a press conference at the Fort Young Hotel on October 20 where he celebrated his 40th anniversary as a professional journalist. Bellot noted that the book will be a compilation of columns which he has written in the Sun Newspaper. "I am coming out with a book and actually it was a simply produced book because it is made up of articles that were written for the past eight months in the Sun Newspaper," Bellot said. 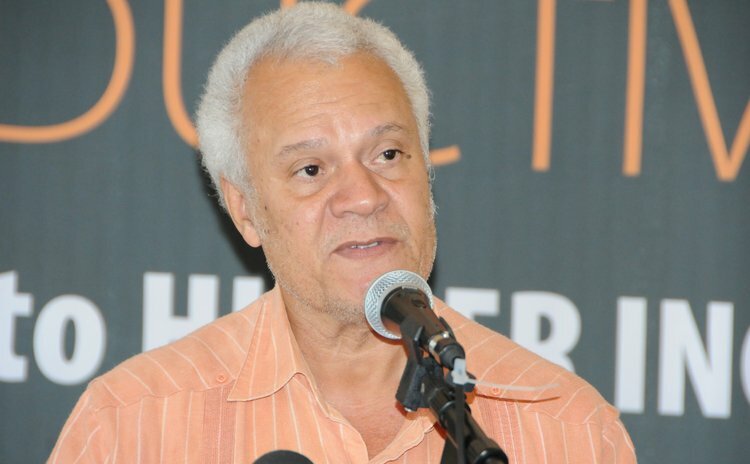 Bellot added that he had a particularly liking towards the column in the Sun because it was made up of ideas on how to rebuild back Dominica better. He noted that he also has a column in the Chronicle dubbed "Eef I Wuz" but is a more varied piece. Bellot said that his column in the SUN: "It was progressive ideas what we need to look at in terms of housing in terms of our climate change, in terms of how we treat people as compared to the past days, how do we get more productive, how does the public service respond to modern techniques." Furthermore, he stated that he is of the belief that the idea to compile his columns will be a positive venture. He said that he is hopeful that when released it will be beneficial to teachers and students at the Dominica State College and various secondary schools. Although Bellot has not revealed a date for its release, the book is to be published by Amazon. Bellot became a journalist in 1976 and is the publisher of Link news magazine which was first published in 1977. The most recent issue of the magazine was published in November 2016.